I don’t remember when I first had parsnips, but ever since they have been one of my favorite vegetables. Whether made into “parsnip fries” or just sauteed in butter, I just can’t get enough! This recipe from Vegetables Every Day: The Definitive Guide to Buying and Cooking Today’s Produce With More Than 350 Recipes is a great side dish to go with venison. It’s the perfect fall meal! The balsamic helps to cut the sweetness of the parsnips. Preheat oven to 425F. Peel parsnips and slice into 1 1/2 inch chunks. Toss parsnips, oil, salt and pepper on a large cooking sheet. Roast, turning once, for 40 minutes (or less, ahem - see photo above) Drizzle with balsamic vinegar, toss, and roast another 3 minutes or so until the balsamic begins to glaze. Peel parsnips and slice into 1 1/2 inch chunks. Toss parsnips, oil, salt and pepper on a large cooking sheet. Drizzle with balsamic vinegar, toss, and roast another 3 minutes or so until the balsamic begins to glaze. Visiting from Rook No. 17’s A Little Birdie Told Me linky party. I love parsnips. Thanks for the recipe. I can’t say that I’ve ever had parsnips, but they sound really good with the oil and spices. Something new to try! I’ve been roasting parsnips a lot lately, but I never would have thought to try them with the balsamic vinegar. Sounds super tasty! Oooh venison chops and parsnips, now that’s my kind of meal! I hardly ever have balsamic vinegar, though. I think I don’t want to buy it because I know I can’t afford the really good stuff, and I want to try the really good stuff, even though I know that the less expensive stuff actually really works very well in a lot of applications. Great idea, thanks for linking with the Hearth and Soul hop. 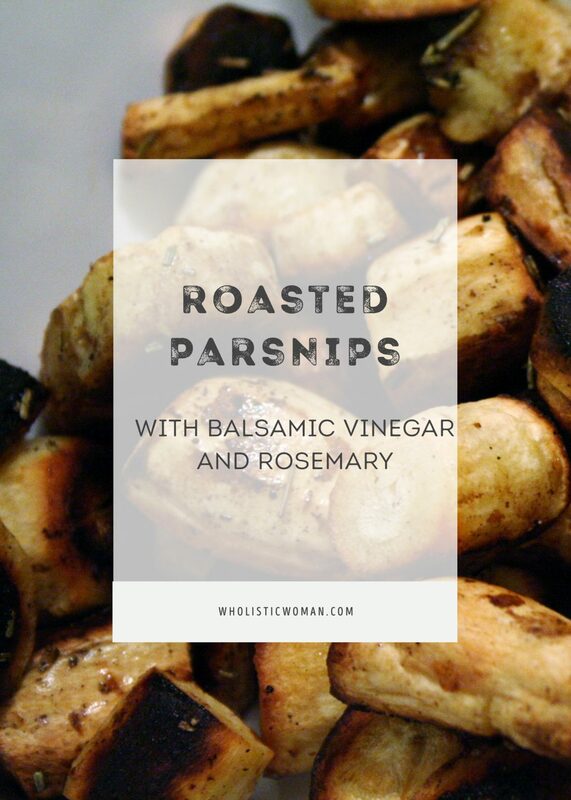 These look super yummy, we have just gotten into eating and growing parsnips and love them roasted, I will try the balsamic vinegar next time! I made something similar this evening with Carrots! Hope you will share this recipe at Seasonal Sundays! We would have parsnips a lot when I was younger and they are still a favorite, these look great. I love parsnips. I never thought to roast them, I usually mash them. I have been growing rosemary and have been cooking with it, so I really need to try this. I love parsnips! Love them every which way. I think they are highly under rated!